This combination text and workbook takes a practical approach in teaching subject access, focusing on Library of Congress Subject Headings (LCSH) and the Library of Congress Subject Cataloging Manual. It provides clear and thorough explanations of subject analysis, principles for assigning subject headings, how to use LCSH in both print and online versions, subdivisions, name headings and subject authority files. The workbook contains numerous examples and exercises with answers. Learn Library of Congress Subject Access covers the skills needed to identify and describe the topics of resources found in libraries or other information agencies. It is suitable for use by librarianship students in universities, by library technicians or paraprofessionals working in cataloging departments, and by others who want to understand more about vocabulary control. 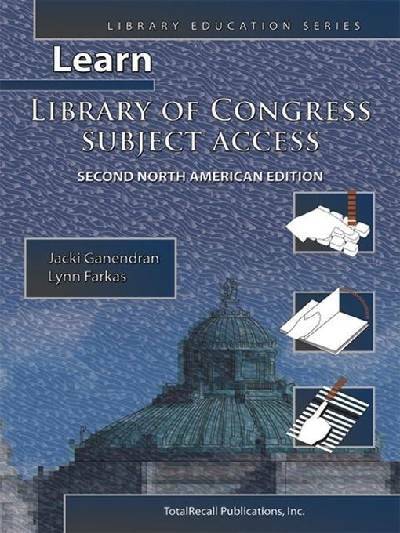 Learn Library of Congress Subject Access is one of the study guides in the Learn Library Skills Series. Details of each publication are in the back of this book, or visit the publisher website for more information. Lynn Farkas is a library trainer and director of an Australian information services consulting company. Her expertise includes subject analysis, thesaurus development, knowledge management applications, and database indexing. She regularly conducts core skills training for the cataloging staff of major Australian libraries, including the National Library of Australia and the State Library of New South Wales.